Let me put things straight: I am not a fan of electric cars. I think they are unemotional and too restrictive to bring the freedom and lifestyle a car normally brings. But let’s put aside my difference. I will try to be objective on this one. Battery-electric cars are “in”. That does not mean they are the solution, but it does mean more and more manufacturers are putting some thought into them. Take the Renault-Nissan joint venture. Nissan brought out the Leaf (supposedly an electric car that is just like a normal car), Renault brought the Tweezy (to deal with the issue of high cost), and is planning a whole line-up of electric vehicles. Then you have Tesla, moving into second gear with the Model S, which does seem like a good car, the Peugeot-Mitsubishi iOn-iMiev, the Mercedes B-class EV and various others. Take plug-in hybrids then, the Chevrolet Volt, the Fisker Karma, that Focus, the list goes on. Like it or not, electric cars are no longer the dreams of eco-warriors; it is now easy to find one. How you manage to use them though is another issue. I’ll just focus on supply here, to stay objective. So the big names are there, but when searching a bit more, I remembered, there was an electric car out there before, that people bought and used (they sold 4,600 in fact, over 7 years). No, not the General Motors EV1, something more recent. Think about it, you have definitely seen one. Top Gear showed it very often and kept blowing them up. Walk around central London and you will definitely see one. I am talking about the G-Wiz. Now, unbeknownst to a lot of people, the G-Wiz is actually an Indian car, created by a company called Reva Electric Car Company. 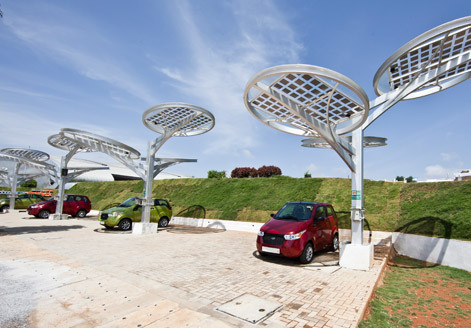 Reva was a joint venture, created by Chetan Maini in 1994 with an American company, Amerigon Electric Vehicle Technologies. 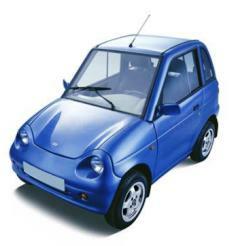 In 2001, the joint venture launched the Reva. It was a very basic car, with basic technology and fairly bad performance, but here is the good part: it was cheap. In the UK, it sold for less than £10,000. Today Renault is trying to make the headlines with their comparatively priced Tweezy, which is actually less practical. When searching a bit more, it turns out Reva is now owned by Mahindra & Mahindra of India, and still exists. In fact, they are about to launch a new car, the NXR, which is bigger, more practical, better performing, and actually looks like a car (to some extent). It is still going to be cheap (for an electric car) and produced in a completely green way. The new factory complies with very high environmental standards, and tries to use as little electricity as possible. On their website, they even talk about solar charging stations (Sun 2 Car), quick-charge options and being able to power your house (for a short period) with your car (Car 2 Home). Sounds familiar? Should do, because Tesla and other manufacturers are promising the same thing with their future vehicles. But the advantage for Reva is their car is cheap, and have a potential one-billion plus market on their doorstep. Funny isn’t it? An Indian company seems to be getting there first, doing what the bigger more established players are trying to do (in this case bringing out a green, usable and economical electric car to the public). In management speak, they call it ‘reverse innovation’, when innovations from a “developing country” get adapted to “developed countries”. The Renault-Dacia Logan is a good example of that. Yes, I am not a fan of the Reva, but I do appreciate their effort. They are continuing in the same line as Tata, trying to put India on the global automotive map. I do hope their car will sell well around the world. Since the beginning, the automotive industry was ruled by European and American brands. Then the Japanese and Koreans came along and showed us how to make good cars for cheap. But now, it may be time for a new player to enter the market. I doubt it will be China, they seem too preoccupied with making rip-offs. It could be India. They have been making cars for over half a century now, and new ambitions are very high. 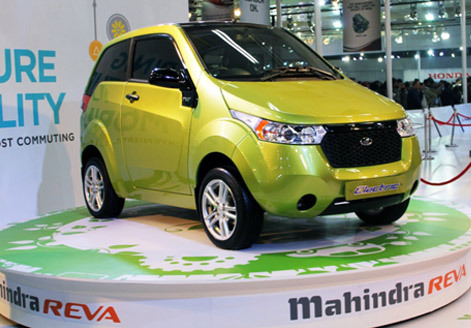 Tata and Mahindra-Reva are trying a new way to conquer the rest of the world: with ‘green’ cars. Tesla and Fisker do have good cars, but they are aiming for the top-half of the market. The two Indian companies are aiming for the bottom-half of the segment; they can co-exist in the perfect world. In the interest of objectiveness, I will say that this is a good thing. More electric cars will help save fuel, so car enthusiast like myself can drive our classics over the weekends and enjoy them more. Moreover, these electric cars do make perfect sense in the city, where there is stop and go traffic all the time. There, done. Now, where can I drive the latest Corvette ZR1? This entry was posted in News and tagged corvette, electric car, fisker, g-wizz, india, leaf, mahindra, mercedes-benz, nissan, reva, tesla, tweezy, volt. Bookmark the permalink. 2 Responses to An electric future from the other side?